Gift-tours.com is launching a brand new concept of special offers. As you know, our travel website aims at providing you with the best deals possible for your holiday. Starting now, it gives you the opportunity to enjoy half-price 3- to 5-star hotels in the city of your choice. This way you benefit from luxury surroundings whilst going on holiday abroad. From time to time we all need a break to recharge our batteries. Have you ever dreamed of visiting a famous city such as Paris, Prague, Amsterdam, Rome, Florence, Barcelona, London...? If everybody longs for a comfortable stay in a luxury hotel, not everybody can afford it or is ready to spend a fortune on it. Especially now, in the financial crisis, we all try to make our holidays as budget friendly as possible. Gift-tours.com helps you to make your dreams come true by offering you the best deals for your trip. Travel in 2010 with Gift-tours.com and benefit from the best deals for luxury holidays; with Gift-tours you can have the cake and eat it too! Gift-tours.com came up with top special offers for hotels all around the world, the Incognito Hotels. The principle is simple. For each hotel you get all the information needed, except its name and address: they are revealed once the booking is confirmed. In exchange, you will be able to benefit from the best deals for a stay in a 3- to 5-star hotel located in the city of your choice. 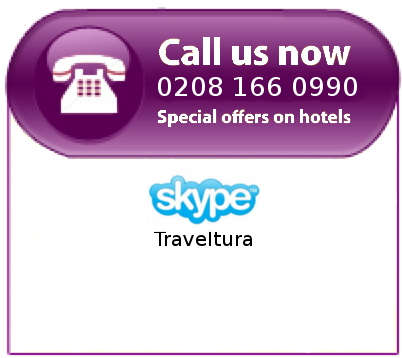 You just need to call us, give the ID code of the hotel and one of our agents will assist you to complete your booking.